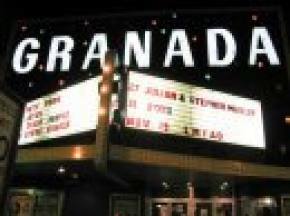 The Granada Theater is a historic theater and concert venue located in Lawrence, Kansas. It was originally built in 1928 as a vaudeville theater in Lawrence, Kansas by the Boller Brothers. It was renovated in 1934 as a movie theater. The theater was renovated again in 1993 and repurposed as a comedy club/concert venue.